Colonel Alan Fisher speaking before the El Paso Daedalian Flight 24 about his life experiences. Two other long time FASF members are to his right and left above – Charlie Overstreet, at far left, and Colonel Bob Pitt at the far right. 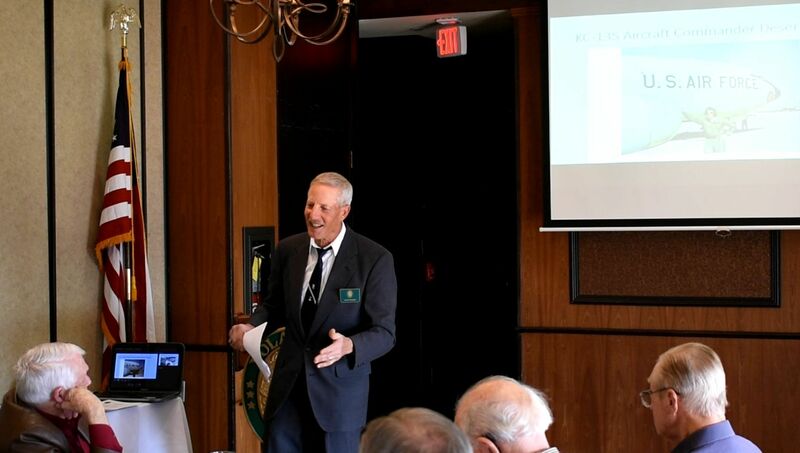 Long time FASF member, also a Daedalian, as well as a senior officer with the Civil Air Patrol’s (CAP’s) Las Cruces, NM Squadron, Alan Fisher addressed the local Daedalian Flight’s monthly meeting at the El Paso Club in downtown El Paso, Texas, (see photo above) this past week. Colonel Fisher shared both his military experiences as well as retirement careers in civilian life with his fellow Daedalians. He also conveyed the manifold benefits of pursuing a career in one of the U.S. Military branches. Alan, who spent 24 years on active duty with the USAF, is a honors graduate of the Air Force Academy, and served as a pilot throughout most of his career, taking part in several war theaters, primarily in the Mideast. While still on active duty, this Air Force leader managed to gain a Master’s degree in Biology, which he was able to use while serving an assignment as an assistant professor at his old Alma Mater, the Air Force Academy. Today, the Colonel is retired and lives in Las Cruces, NM with his wife, Melissa, who is also an Air Force Reserve Lt. Colonel, herself. The Colonels has two children and two grandchildren. When not flying CAP missions, Alan keeps busy running his family pecan growing business or teaching Science to local Las Cruces High School students. Immediately before retiring from active duty with the USAF, the Colonel was the commander of the USAF ROTC unit at nearby New Mexico State University (NMSU) in Las Cruces. In an astounding turn of events, before his retirement, he actually awarded second Lieutenant’s bars to our long sitting Trustee and Vice President, Colonel Ira Cline, who himself recently retired as commander of the same NMSU ROTC unit. Below is the Colonel’s retirement photo from the United States Air Force. 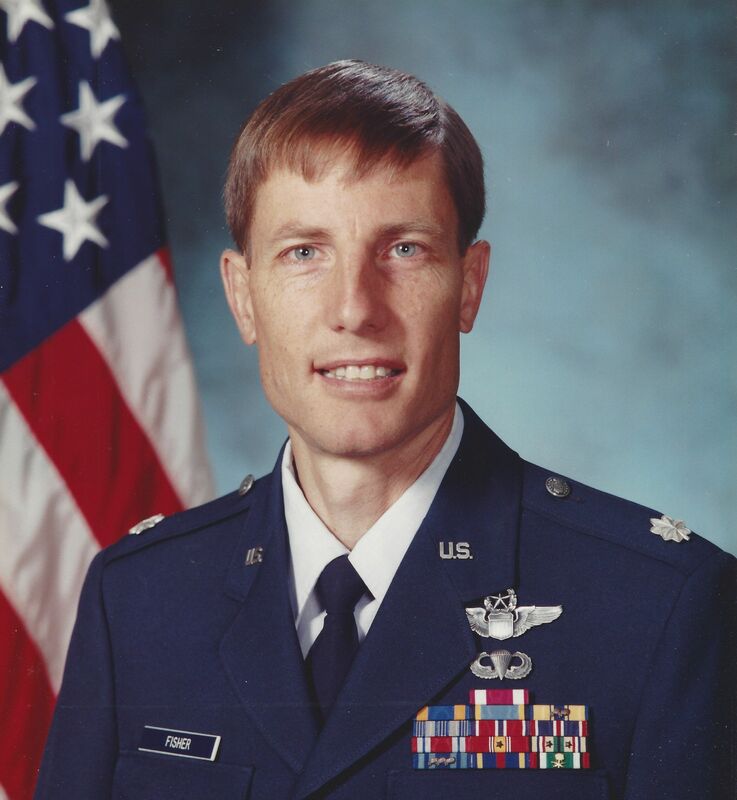 Official USAF Portrait of Lieutenant Colonel Alan Fisher. This entry was posted in INSIGHTS - Our Colorful Members on January 6, 2018 by FASFRIC. My Grandpa fought at Columbus. Fisher was a former boss of mine. Didn’t know he knew about Columbus.